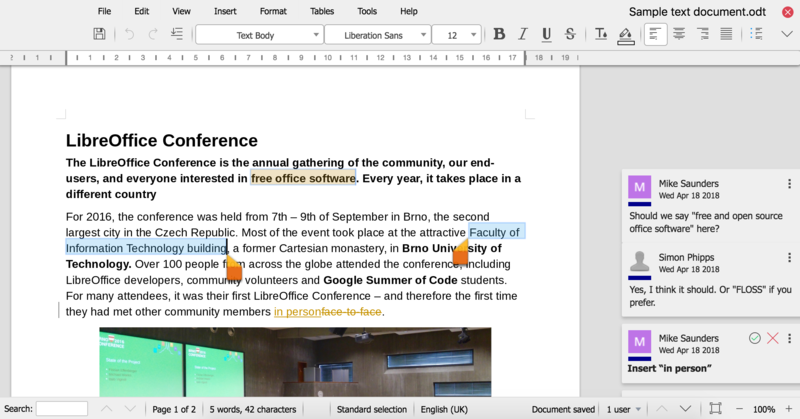 Collabora Online Development Edition also known as LibreOffice Online, is a server service built from the main LibreOffice project code which provides display and collaborative visual editing of a range of document types. It does not include any form of file system. To be fully functional, it has to be integrated with file access and authentication provision from an underlying stack of software. one Nextcloud on a dedicated domain and install this package on an other dedicated domain (or subdomain). So I have made this package work again. It’s currently in a testing mode. Feel free to test it (not on your production server) as you have tried to setup it in the past. @ljf, when you’ll have tested both, could you give us a feedback?  Hi there, I was so happy to encounter an online LibreOffice Yunohost app being able to work with Nextcloud. 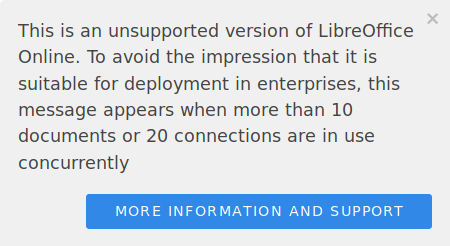 I tried to install the Collabora app in the Yunohost admin environment, but it encountered an error and did not install, unfortunately (see the log below). Does anyone have an idea why? Was it because I tried to install it on the same domain as my Nextcloud app? And is it really mandatory to create another subdomain for it to work? 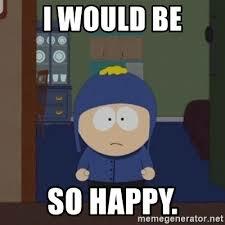 I would be really happy if you could let me know what I need to do to get it to work Many thanks in advance. 2019-04-01 19:28:48,041: WARNING - E: Unmet dependencies. Try 'apt --fix-broken install' with no packages (or specify a solution). 2019-04-01 19:28:48,043: WARNING - !! 2019-04-01 19:28:48,045: WARNING -   collaboradocker's script has encountered an error. Its execution was cancelled. 2019-04-01 19:28:48,047: WARNING - ! !